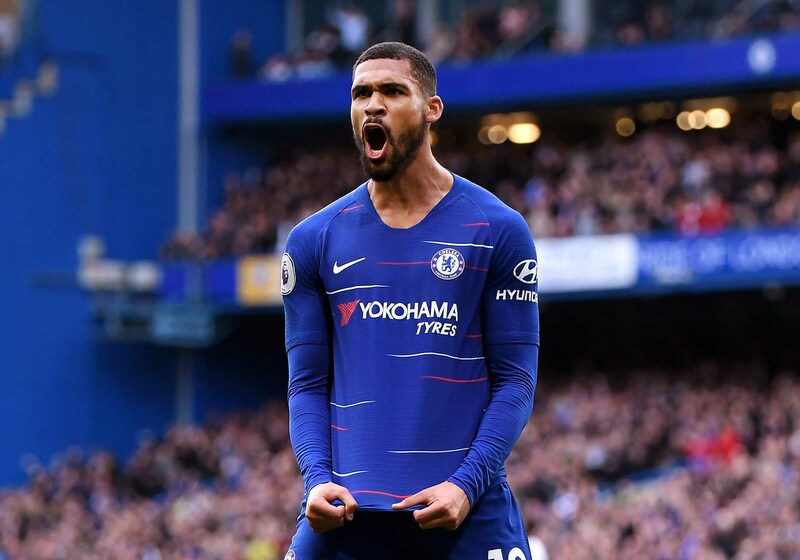 Ruben Loftus-Cheek celebrates after scoring his team's second goal during the Premier League match between Chelsea FC and Fulham FC at Stamford Bridge on December 2, 2018 in London. It wasn’t the most convincing performance from Chelsea on Sunday, but the Blues pulled it together to see off a spirited Fulham side by the score of 2-0. Goals from Pedro and Ruben Loftus-Cheek and two big second-half saves from Kepa Arrizabalaga secured Chelsea a much-needed victory at Stamford Bridge. It’s big week for Chelsea who face three matches over the course of six days. The week culminates with the visit of Manchester City on Saturday. But on the evidence of Sunday’s performance, Chelsea will need to find their confidence and improve quickly, even to get through Wednesday’s match against Wolverhampton Wanderers at Molineux. Chelsea manager Maurizio Sarri admitted after the match that his side looked nervous throughout the match, but it certainly didn’t appear that way from the start. Much debate has been made over the positions of Jorginho and N’Golo Kante, but just four minutes in, the pair showed how effective they can be when they initiate the press in the way that Sarri wants. Jorginho started to press the midfield, and Kante robbed Jean Michael Seri when he dallied on the ball a second too long. Racing forward, Kante found Pedro on the right, and Pedro did what Pedro typically does. The Spaniard shifted the ball inside to his left foot to cut inside Alfie Mawson before calming placing the ball inside the far post to give Chelsea the early lead. Olivier Giroud started in place of Alvaro Morata and had two chances to double lead in the first half. First, he made a nice run between the Fulham centre backs to collect a reverse pass from Eden Hazard. But Giroud took an extra touch that narrowed the angle, and his shot was easily saved by Sergio Rico. Then Giroud intercepted a terrible pass from Cyrus Christie as Fulham tried to play out of the back. Giroud drove forward and attempted a scooped pass for Mateo Kovacic that was blocked. But Kovacic recovered the ball wide and fed Hazard whose near-post cross for Giroud was parried just knocked wide by Rico. Claudio Ranieri made two changes to start the second half, bringing on Floyd Ayite and Aboubakar Kamara for the ineffective Stefan Johansen and Ryan Sessegnon. Kamara made his impact felt by finally challenging Chelsea defence when Antonio Rudiger had to be alert to slide in and clear Christie’s cross before it reached Kamara. But it was Calum Chambers who nearly brought Fulham level. From the resulting corner, Chambers rose above the Chelsea defence and sent a header towards the near post that Arrizabalaga was able to get down to and block away from goal. Minutes later, Chambers rasping shot from 25 yards forced Arrizabalaga to save at full stretch. Loftus-Cheek came on in place of Kovacic, and in the 82nd minute put the game beyond the reach of Fulham. After some slick passing that was lacking until that point, Hazard rolled the ball across the 18-yard box for Loftus-Cheek who showed composure to fire a shot over the diving Rico. Next up for Chelsea is a midweek match against Wolverhampton Wanderers.